Performing Arts Interpreting Alliance (PAIA): It's Sweeney Time at PCS! 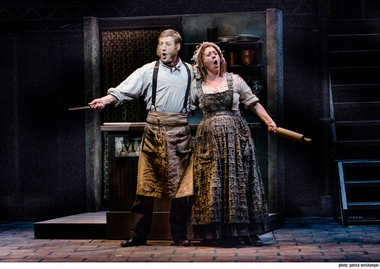 A friendly reminder that you only have a couple of days left until the interpreted performance of "Sweeney Todd, the Demon Barber of Fleet Street" at Portland Center Stage. Click on TICKETS to go to the online purchase option. Make sure to enter promo code SIGN to get the tickets in the interpreted section at the right price. Click this link to read more about the musical, Sweeney Todd .